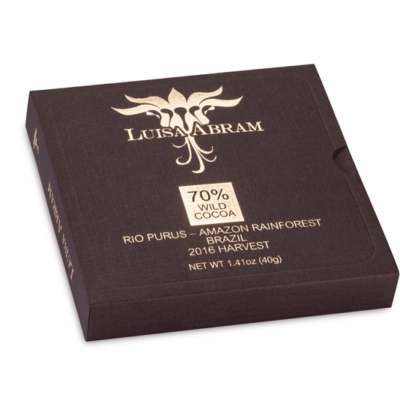 Impact: Craft-chocolate personified. 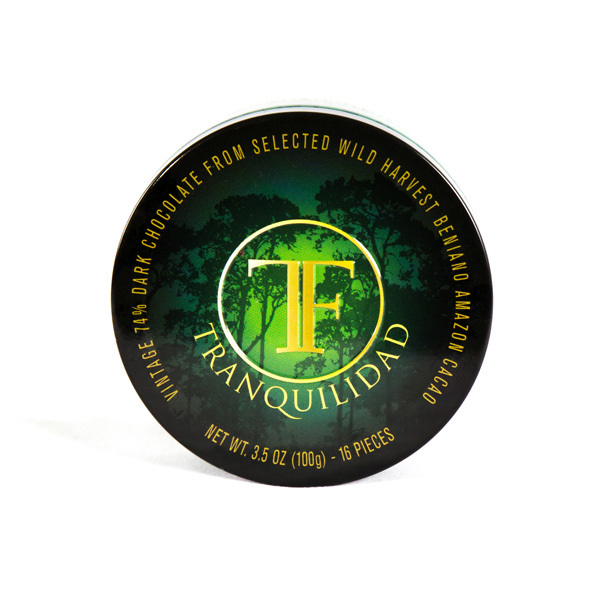 Genuine home-ground fare co-founded by Dr. Nat Bletter who received his Ph.D. in ethnobotany studying medicinal flora of Peru, Mali + Guatemala Mayans, and cacáo researcher / chocolate maker David Elliot. 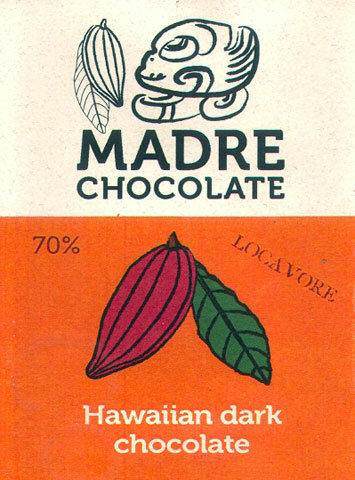 Blending the old & new, Madre — el mother of cacáo — operates from one of the younger chocolate origins (Hawai’i) as it flavors up sensations steeped in deep ancient traditions. 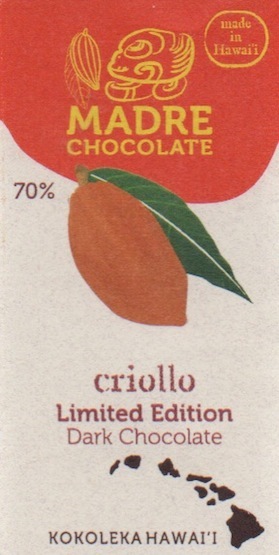 It revives those traditions by enlivening cacáo orchards & growers in places like Xoconochco, Mexicothru assiduous seed selection & preparation of bars using heirloom recipes… astutely drawing on Mesoamerica’s past to vault chocolate into the future.In the process, Madre takes lots of risks that it boldly accepts. 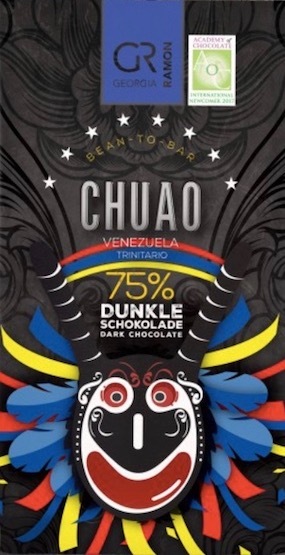 For example, Chiapas – a “root bar” to platform indigenous flavorings of Mesoamerica such as cacahuaxochitl (aka ‘flower of cacáo’). 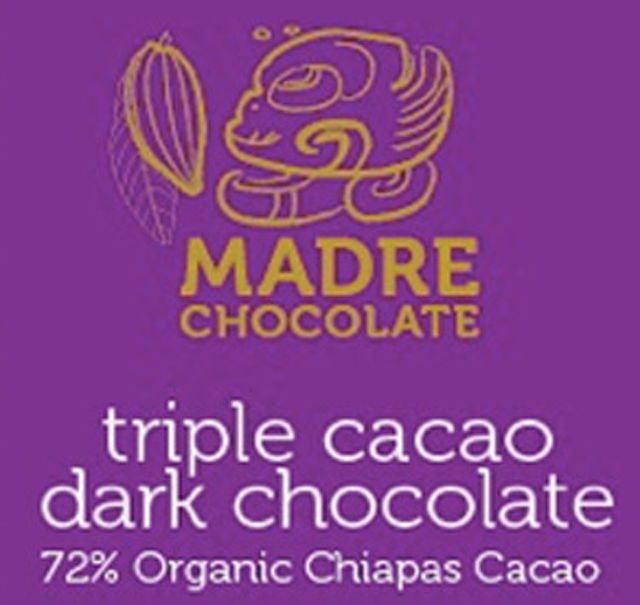 Or Triple Cacao, a 3-tiered sensation (cocoa – nibs – cacáo pulp) husbanding all of cacáo’s fruit, then mothering them to full fusion. Their approach convinces that re-imagining cacáo as a noble specialty rather than just some candy is for real.